Hubble Space Telescope (HST) is a telescope that has been placed in low Earth orbit, about 559 km above the Earth’s surface. Hubble was launched by space shuttle Discovery (STS-31) on April 24, 1990. 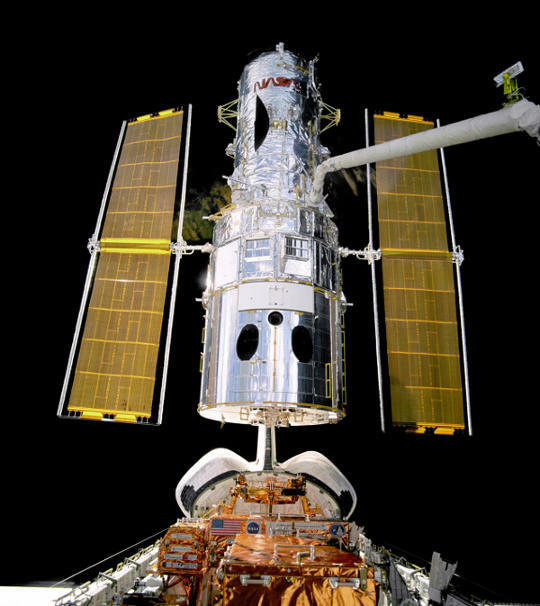 Unfortunately Hubble was hampered by a flawed optical system until astronauts could make significant repairs in 1993. Hubble telescope with its open aperture door. The potential benefits of carrying out astronomical observations from space were first suggested in 1923, by the German rocket pioneer Hermann Oberth. NASA worked on several initiatives and conducted proof of concept studies in the 1960s and 1970s that formed the basis of the Hubble Space Telescope. 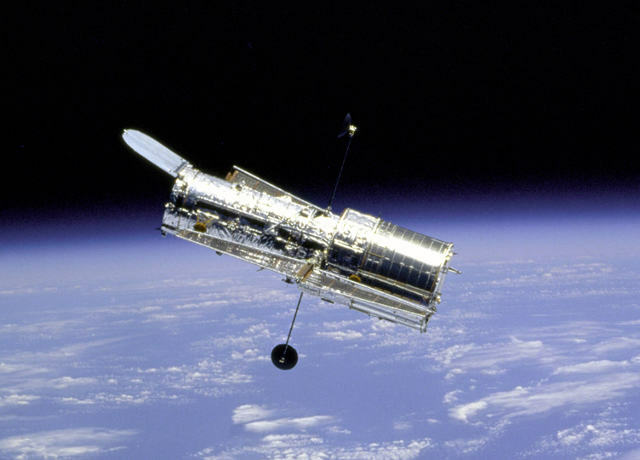 By sitting high above Earth’s atmosphere, Hubble can avoid all the background light and distortions that exist for telescopes on even the most remote areas of Earth. As a result, Hubble has provided astronomers and scientists with some amazing high resolution images of our universe. This has given us invaluable insights into how the universe came about, with some deep views into space and time. Dark Energy: detection of distant supernova what that tells us about the age of the universe. The process by which planets are formed. Massive black holes that exist at the centre of almost all galaxies. Hubble detected organic molecules outside of our solar system. Protoplanetary disks of gas and dust exist around many young stars. The origin of gamma ray bursts. Over the years, Hubble has seen five servicing missions that have corrected problems and made many enhancements to the space telescope. Its most recent upgrade and maintenance occurred in 2009 and Hubble is expected to continue providing its stunning pictures and insights into our universe until 2014-15 (and hopefully beyond). As of 2010, the total cost of Hubble telescope is estimated to have been $10 billion.